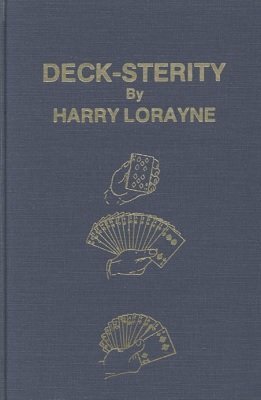 This is mostly an ebook on card magic but it also has a few effects with coins, dollar bills and cigarettes. By far the best routine in the ebook is the "Ten Card Poker Deal". It is a hugely entertaining, dynamic routine in which ten cards culled from the deck are dealt into two poker hands in a multitude of ways, but somehow, the magician's hand always ends up winning. The effect is virtually self-working and Harry's routining turns it into a real reputation maker. 1st edition 1967, 160 pages; PDF 154 pages.